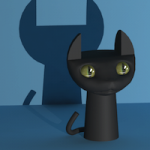 Shadow Texture Renderer component | Nyahoon Games Pte. Ltd. Shadow Texture Renderer is a component for controlling the quality of a shadow render texture. You don’t need to add this component explicitly. It will be added together with Draw Target Object component or Draw Scene Object component. Shadow Color Set a shadow color. If projector material can adjust shadow color or shadow intensity, leave this field black for better performance. Multi Sampling Choose a multisampling level for antialiasing. Multisampling requires hardware support. Super Sampling Choose a supersampling level for antialiasing. Supersampling uses larger internal render texture. Use multisampling for better performance, especially on mobile devices. Blur Level Choose a blur level. Usually, choose 0 for hard shadows, and choose 1 for soft shadows. Higher blur level can make the shadow more blurry, but not recommended. Please consider to use smaller texture size. Blur Size Adjust blur filter size. Applicable if bluer level is greater than 0. Mip Level Set max mip level of the render texture. It should be zero if you don’t use Mipmapped Shadow shader. See also Projector Shaders. * Version 1.0 had a memory leak bug. If mip level was greater than 0, a temporary render texture had not been released every frame. Version 1.0.1 will be released soon. Please don’t forget to update this asset. Single Pass Mipmap Blur Use a single pass blur shader for generating mipmap. It cannot have a large blur size, but it can be faster than the normal blur shader. Mipmap Blur Size Blur filter size for each mip level. Don’t update while out of view You can set false if you are sure that the projector is always visible. If this field is true and the projection frustum of the projector does not intersect with a view frustum of a camera, the render texture will not be updated. Cameras For View Clip Test Set an array of cameras used for view clip test of the projector. If this array is empty, main camera will be used. Blur Filter Choose a blur filter type, Uniform or Gaussian. Uniform filter might be better for soft shadows, and Gaussian is suitable for blob shadows. Mipmap Falloff Choose a falloff type for Mipmapped Shadow shader. If you choose custom, you need to set Custom Mipmap Falloff as well. Near Clip Plane The near clip plane of the camera which is used for rendering the render texture. It can be different from the near clip plane of the projector. Default value is 0.01. Show Camera in Inspector This is only for debug purpose. The camera for the render texture is fully controlled by Shadow Texture Renderer component, and it is usually hidden in Inspector view. You can see the camera status by checking this field. Blur Shader A shader internally used in this component. Usually, you don’t need to change this field. Downsample Shader A shader internally used in this component. Usually, you don’t need to change this field. Copy Mipmap Shader A shader internally used in this component. Usually, you don’t need to change this field. Preferred Texture Formats By default, ARGB32 format is used for the render texture. If you want to use another format, you can set it here. In case that GPU does not support the render texture format, you can set multiple formats. If none of them are supported, ARGB32 will be used.